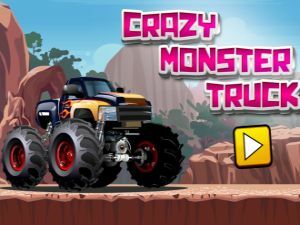 Home / Online games / Games Racing / Game "Crazy Monster Truck"
What is more interesting than jumping on hills by big Monster Truck? Just jumping on hills by big Monster Truck!) Start it on and drive for adventures! And be carefully - don't turn truck over. Complete all races as fast as you can, get maximum score and become the winner!